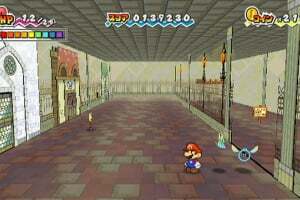 Mario dusts off his cap and sets out on his first proper adventure on Wii. 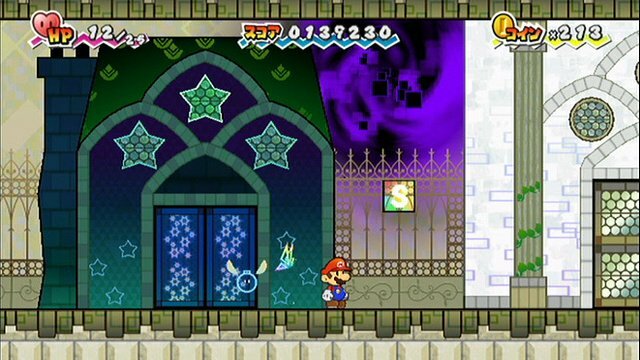 The newest chapter of the Paper Mario story isn't just out of this world ... it's out of this dimension. 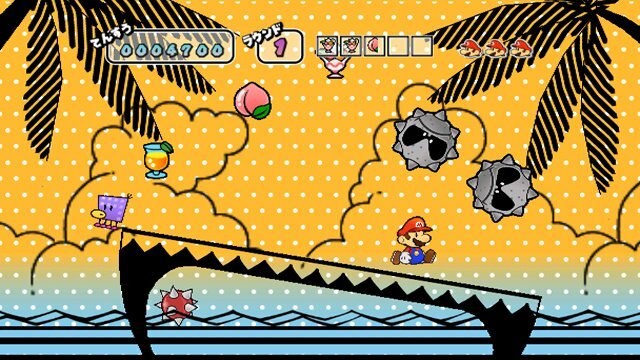 What at first glance appears to be a 2-D side-scroller ripped straight from the stylized pages of the Paper Mario universe soon turns into a hilarious dimension-shifting platformer possible only on Wii. 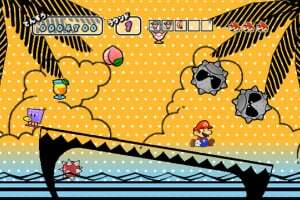 Players run through vibrant 2-D worlds, stomping on enemies and breaking blocks ... then, with the press of a button, they flip into 3-D. In the third dimension, they'll find hidden paths, battle foes and uncover secrets as they explore the previously invisible depth of the 2-D landscapes. Hold the Wii Remote™ sideways and control the game in classic Super Mario Bros.® style. Players can shake the Wii Remote™ to pull off stylish moves and break out of frigid ice and even point directly at the screen to get helpful hints from their sidekick. 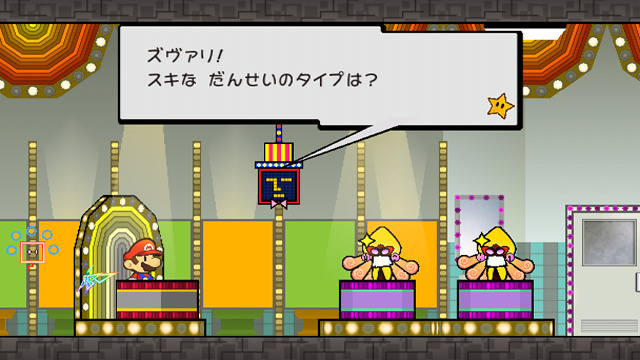 Not only that, but they'll also play as Peach and Bowser, both with their own sets of essential skills. When a mysterious villain kidnaps Peach and Bowser and forces them to get married, their union creates a rift of dark energy that threatens to tear the universe apart. 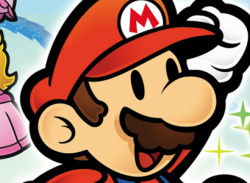 Hilarious characters, laugh-out-loud plot twists and unforgettable dimensions await as Mario™ makes his way through eight chapters, each more memorable than the last. Game storyline: Mario and Luigi are enjoying a lazy afternoon at their house when they hear the terrible news: Princess Peach has been kidnapped! 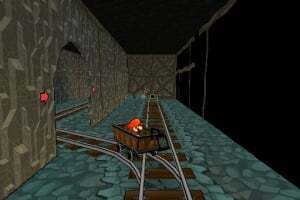 The two brothers head straight for Bowser's castle to get her back, but Bowser is just as surprised about Peach's kidnapping as they are. 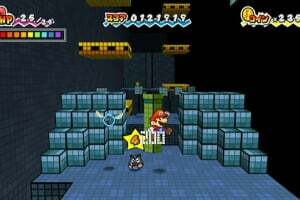 At that moment, a strange top-hatted villain warps in and abducts everyone but Mario. 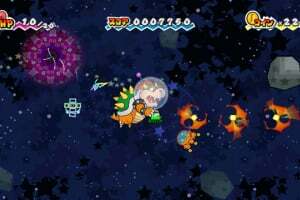 The mysterious villain then forces Peach and Bowser to get married, creating a rift of dark energy that threatens to tear the universe apart. Only Mario can save the day ... but he can't do it alone. 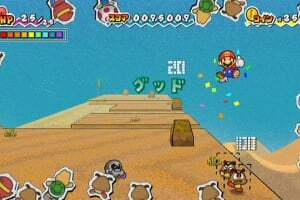 Characters: Mario, Luigi, Princess Peach, Bowser, classic Super Mario Bros. enemies like Goombas and Koopa Troopas, along with a slew of vibrant new allies and villains. 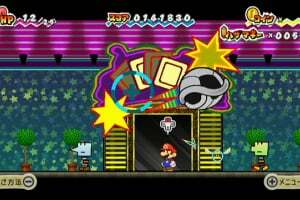 Wii Controls: Super Paper Mario takes advantage of all the unique control features of the Wii. 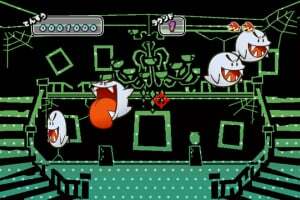 To play, players hold the Wii Remote sideways and control the game in classic Super Mario Bros. style and then use the motion-sensing and direct-pointing abilities for special game features. 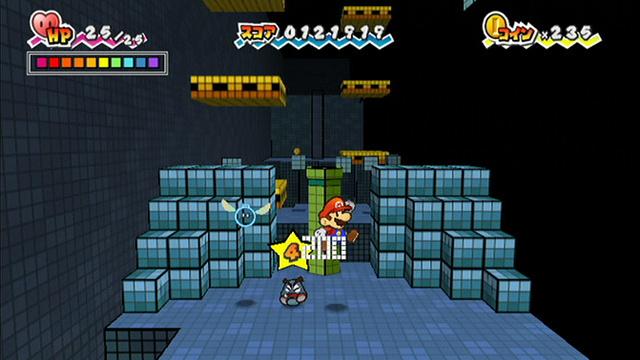 How to progress through the game: Early on, the 2-D side-scrolling game play appears to be reminiscent of New Super Mario Bros.® But as soon as Mario learns the ability to flip between dimensions, players will be constantly flipping between 2-D and 3-D to pass perilous pits, find hidden coins and passages and talk to characters who are visible only in 3-D.
Players earn points for every enemy they stomp, item they grab and block they demolish. Once players rack up enough points, they level up. 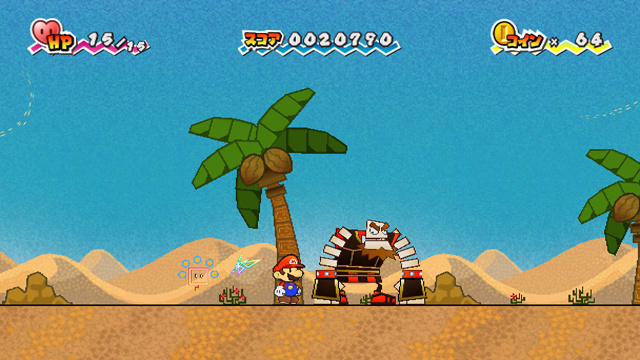 Every level gained allows Mario to take more hits and deal more damage to enemies. 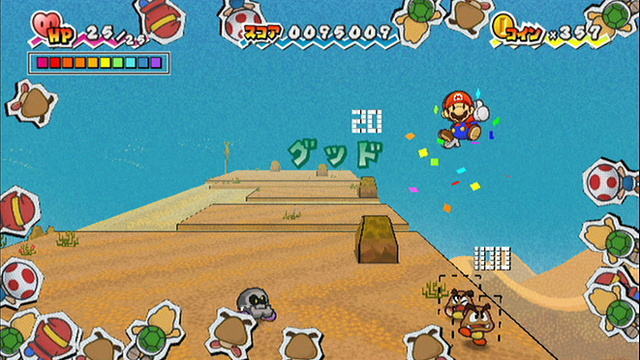 Later on, other characters join up with Mario. 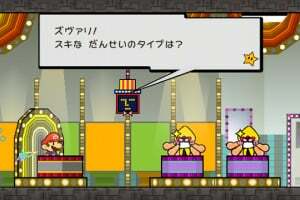 Players can swap between characters and use their unique abilities to solve puzzles and pummel bosses. Special powers/weapons/moves/features: All characters have their own abilities. 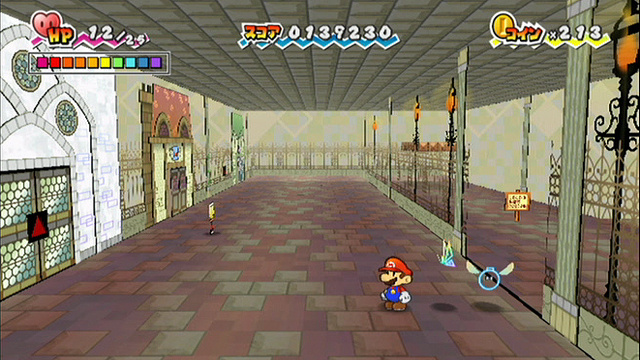 Mario is the only character able to travel between the dimensions and flip between 2-D and 3-D. Princess Peach's parasol allows her to glide across gaps. 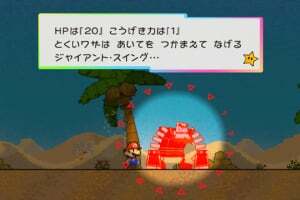 Bowser's fiery breath incinerates enemies. 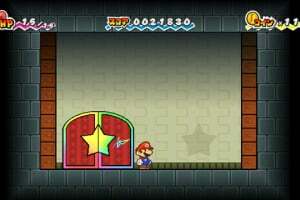 Players will find Pixls hidden throughout various stages. 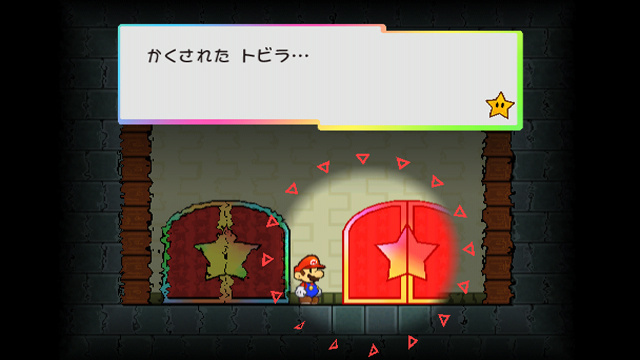 Each Pixl gives Mario (or any of the other characters) access to a special ability. 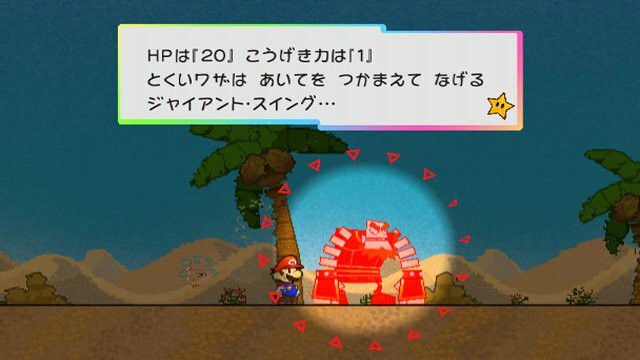 For example, one Pixl lets Mario flip sideways and become paper thin; another lets him grab enemies and hurl them. 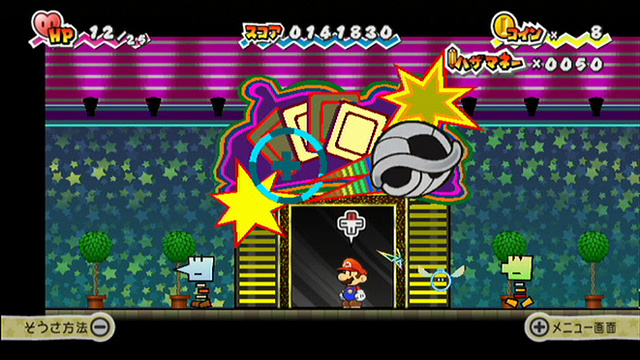 Items in Super Paper Mario work very similarly to items in Paper Mario™: The Thousand Year Door. Some items, like mushrooms, heal Heart Points. 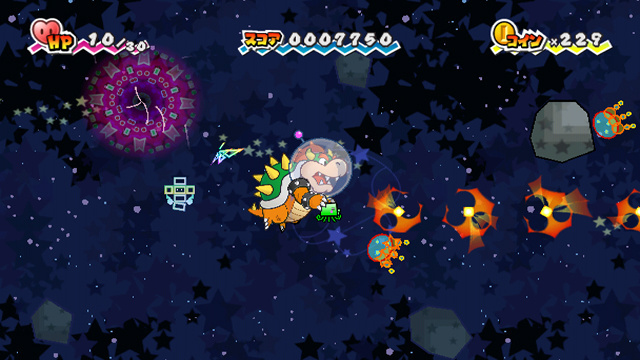 Other items, such as the Shooting Star, can be used during battle to destroy enemies. 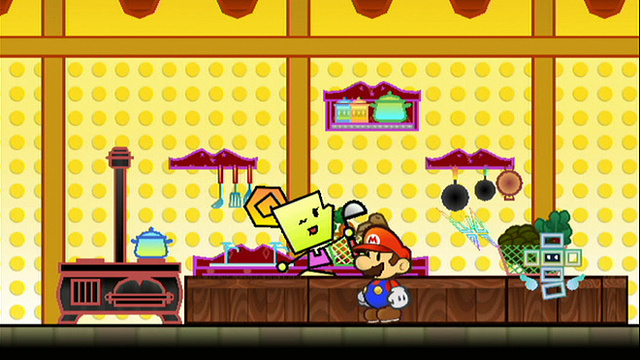 I HATE Super Paper Mario. I agreee with NintendoFreak. 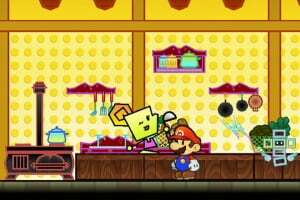 I'm just going to get New SMB and forget about Super Paper Mario. @3: Why hate it? 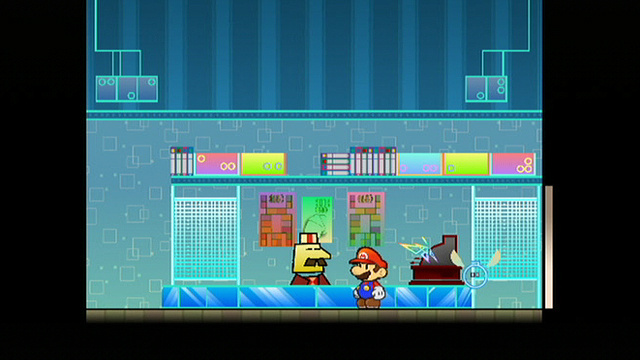 Super Paper Mario is a great game! 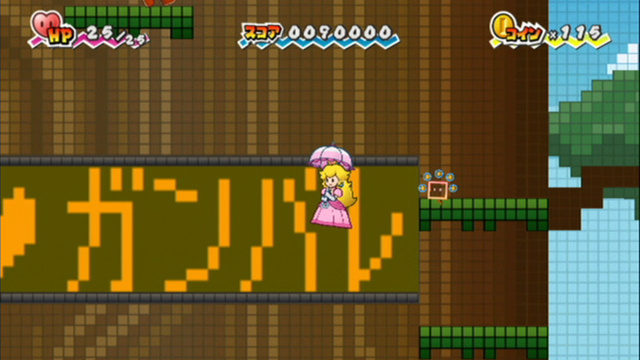 New Super Mario Bros. Wii is gonna be a perfect Nintendo masterpiece! It's-a me, GameLord! I'm-a getting both! 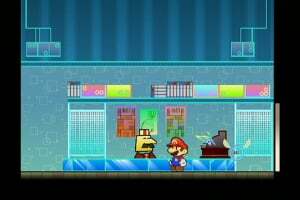 But Super Paper Mario shall have to wait until I get New Super Mario Bros. Wii. My favourite Mario game for the Wii. @2+3 What the? What is there to hate about this game? Sure, it isn't as good as the other two, but it is still a good game! 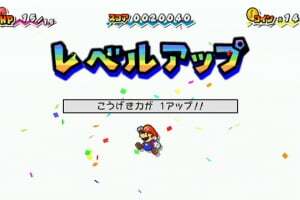 i agree gamer4047, TTYD is the obvious victor of the seiries followed by PM64, leaving this excuse for paper mario at the bottom. Should I get this... Or Pikmin 2?. 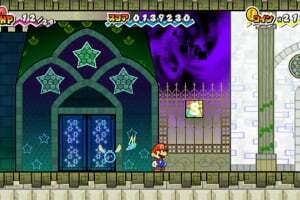 i loved it that you can play more characters...by the way has anyone some cheats for paper mario sticker star or how to get luigi? Sorry, broski. 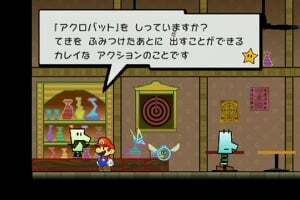 All seeing Luigi does in sticker star lets you see him in the credits. 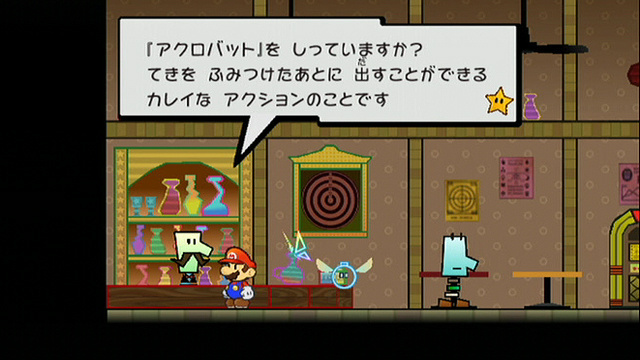 I got this on WiiU, for wii... 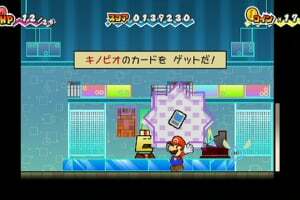 I didn't bother with it because you can't play it on the wiiU gamepad(You can view on the gamepad and use a controller). 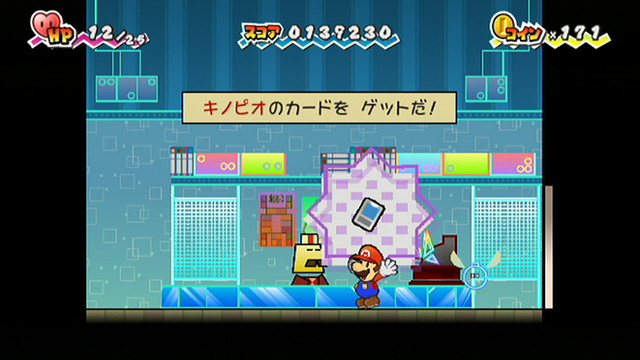 But good news it's on WiiU VC now. Bad news: Nintendo wants me to buy it, again. 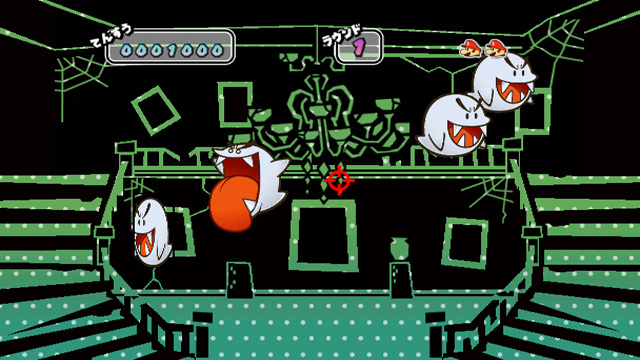 This is my favorite Mario RPG. What a shame we'll never see any of its characters again or a plot anywhere close to this. 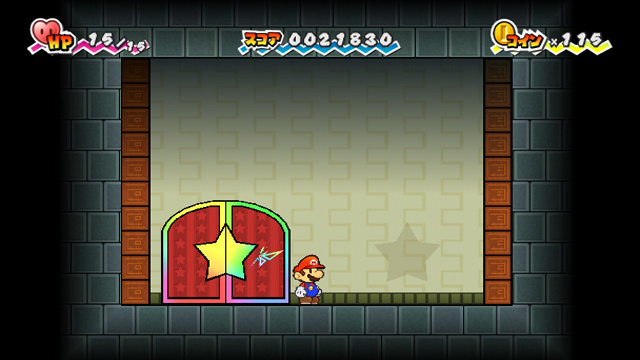 Damn you Sticker Star. 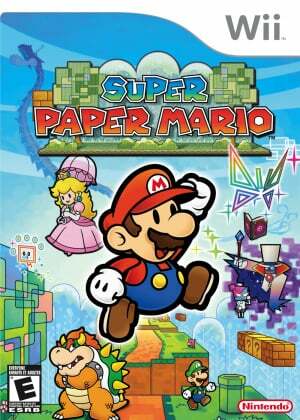 Best Paper Mario game and Mario RPG in general! 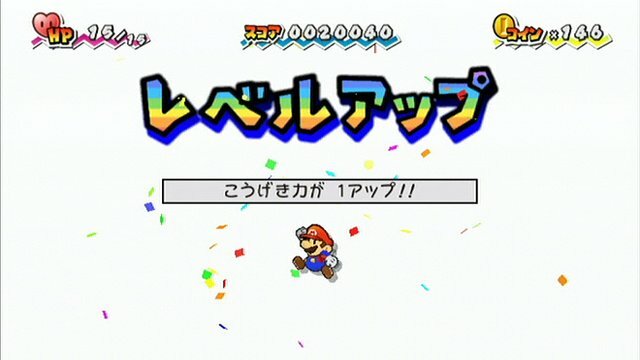 I love NSMB.Wii but that's a little NOTHING compared to this! 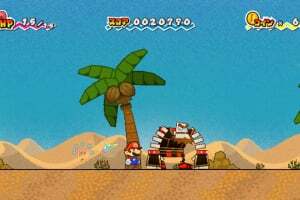 Has the game breaking bug been fixed for the Wii U VC release? 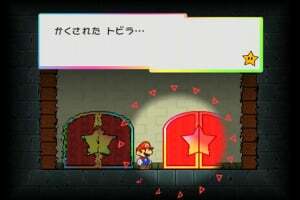 Original version had a point (think it's in Chapter 2-2 or 2-3) where the game would crash if you initiated a certain conversation with a character without locating a nearby key first. I thought I had a faulty disc until I googled it. 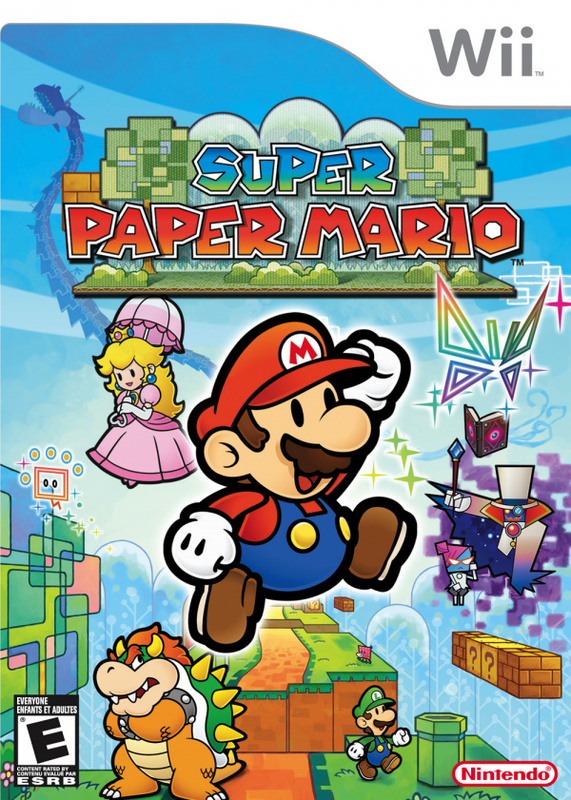 My favorite Paper Mario game. Sadly, it doesn't look like we're getting one like this anytime soon. @ChaosTheChao It was actually my fave... but I loved the others too. 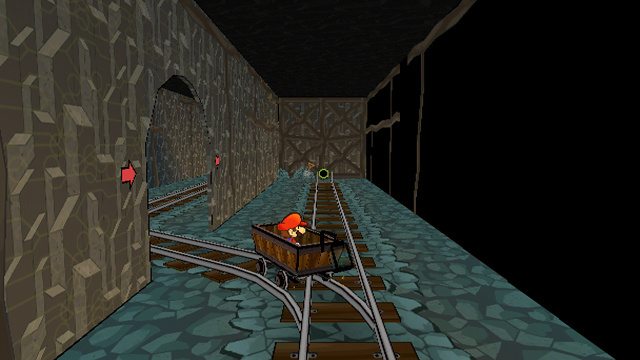 Isn't this that game with the super creepy music on that one level?